PARIS — At the National Museum of Natural History in Paris, visitors can take a trip to an ice blue celestial plane surrounded by an aurora borealis. There, a branching orb traces 460 species, including humans, back to the last universal common ancestor, or LUCA, a small single-celled organism thought to be the common origin of all current life on earth. It’s a new permanent virtual reality installation at the museum, where visitors can don a headset to explore connections between species and zoom in on creatures, simulating the experience, for example, of standing right in front of an elephant to understand its magnitude. Bruno David, president of the museum, said it was impossible to illustrate the same concept if restrained to the traditional means of physical objects and text, so the museum turned to technology. The museum renovated a room to permanently house five VR stations and plans to offer a VR sea diving experience to coincide with a 2019 exhibition. Virtual reality, he said, could help make the taxidermy gallery — home to Louis XV’s pet rhinoceros — a little less stuffy. “My aim was to introduce technology of the 21st century into the world of a museum which is generally not regarded as such,” Mr. David said. France’s National Museum of Natural History is just one of many cultural and art institutions using the technology as a new way to engage visitors. While this museum has gone all in, others have been experimenting with VR before committing portions of their budgets. In 2015, the British Museum was one of the first institutions to offer a virtual reality experience through a weekend event dedicated to Bronze Age objects and showing them in their original context. Hannah Boulton, head of press and marketing at the museum, says it has been a testing process over the past few years to find where VR can have the most impact for the institution. The museum has since also released a virtual tour of its Egyptian gallery that can be explored through either a web browser or a VR headset. Tate Modern in London has integrated VR into its current Modigliani retrospective in which visitors can explore the artist’s Paris studio. Since there is no photographic record of the artist’s final home, Tate undertook painstaking research to recreate it as a virtual reality space. A team took forensic-level photographs of the present-day studio, now private property, and designed furniture based on photos from the artist’s move, analyzed paint materials and took details from visitors’ diaries and letters. 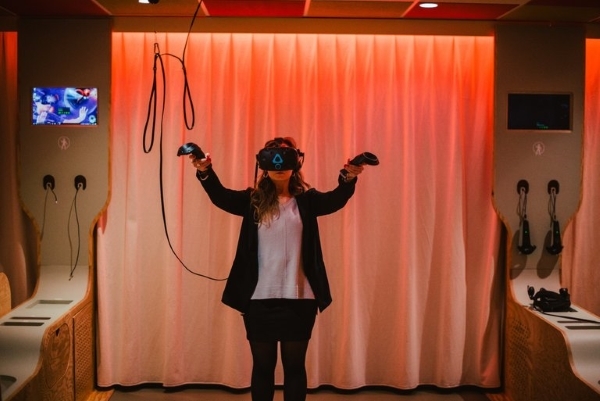 While VR might be an obvious attraction for younger, tech-hungry audiences, institutions are finding older visitors are also eager to explore digital worlds. The National Museum of Finland in Helsinki uses a new VR feature to transport visitors into R.W. Ekman’s painting “The Opening of the Diet 1863 by Alexander II,” where they can speak with the Russian emperor and other depicted characters. Hanna Forssell, head curator of education, expected it to appeal mostly to the under-18 set that makes up one-third of the museum’s entries. Instead, she was surprised by the interest from all ages. Ms. Knight said she would like to use VR more in future exhibitions, but despite the success of the Modigliani experience, she is still uncertain about sustainability. Ms. Boulton also said the British Museum’s VR projects are “heavily funded” by technology partners. Creating VR programs is expensive, especially for public institutions that have seen budgets slashed in recent years. Last year, the consumer electronics company HTC, which makes VR headsets, started VIVE Arts, a multimillion-dollar initiative that funds and develops VR content for museums and cultural institutions. Victoria Chang, director of VIVE Arts, said the program was born in response to an increase in the number of requests that HTC began receiving about two years ago and that continues to grow. “It was important for us to be able to foster this phenomenon in a more systematic way,” Ms. Chang said. She says VR will soon be just as important to a museum as its website. The Kremer Museum has gone even further, staking its entire existence on VR because the museum exists only as a virtual space. No lines, no crowds: just a solitary, private visit to a pristine gallery of 17th-century Flemish and Dutch masters. The VR experiences from Tate and the French National Museum of Natural History are available online to the public. As for critics who worry that might keep some people at home and out of museums, institutions agree virtual will never replace reality but can enhance it.